A site that introduces fun and cool products, goods from 100 Yen Shops in Japan. 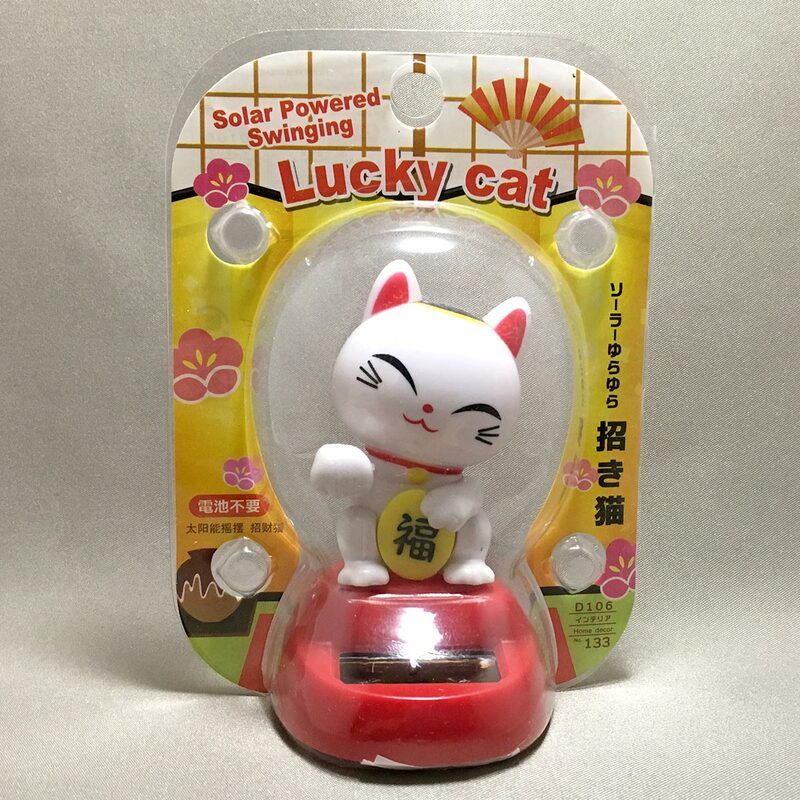 This solar powered swinging Lucky cat or Maneki Neko from Daiso might bring good luck and fortune to its owner. 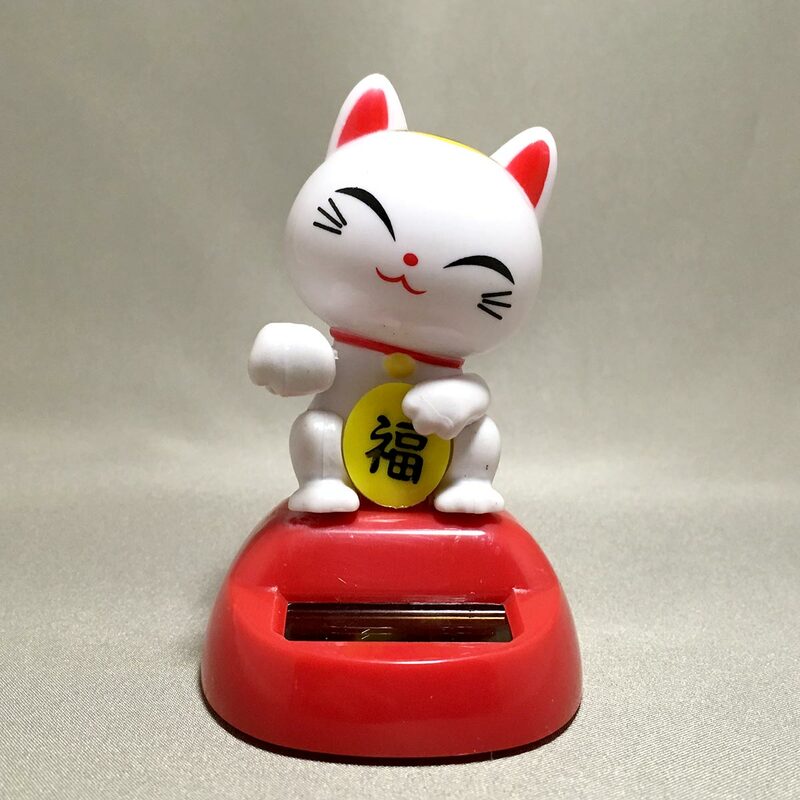 The white swinging lucky cat waves or beckons with its right paw, and carries a coin for fortune. 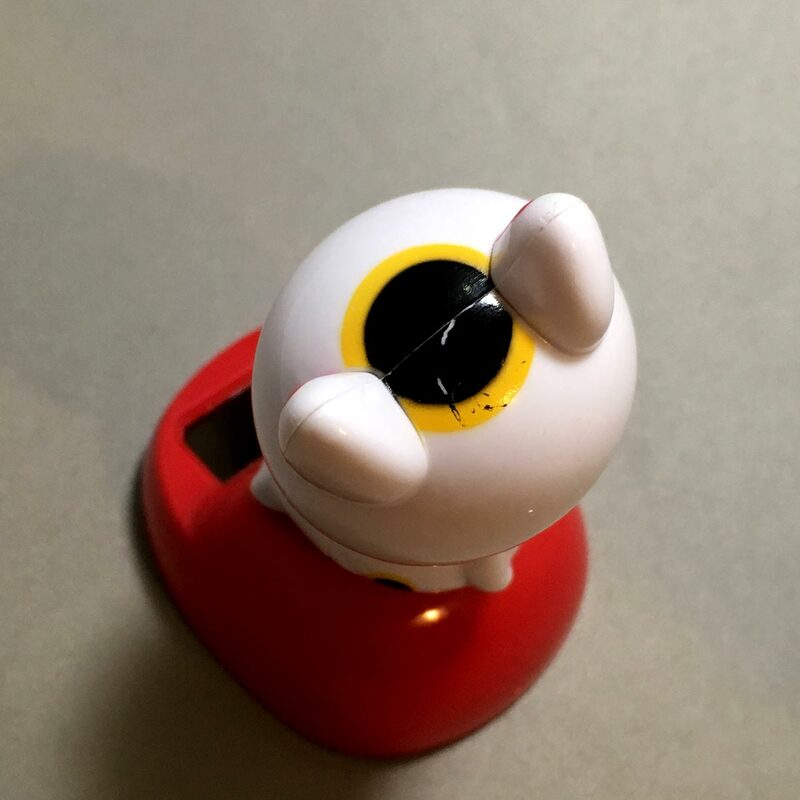 The doll comes with a small round double sided adhesive sticker to stick on flat surfaces. – For indoor use only. 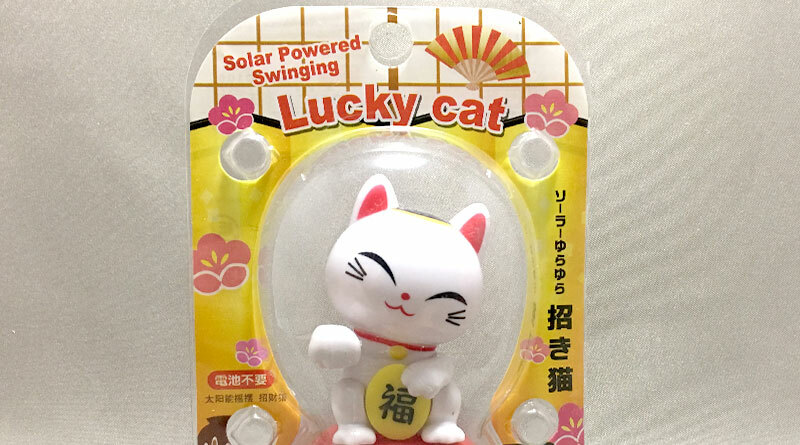 – The swinging Lucky cat is powered by the electricity generated from the solar panel. 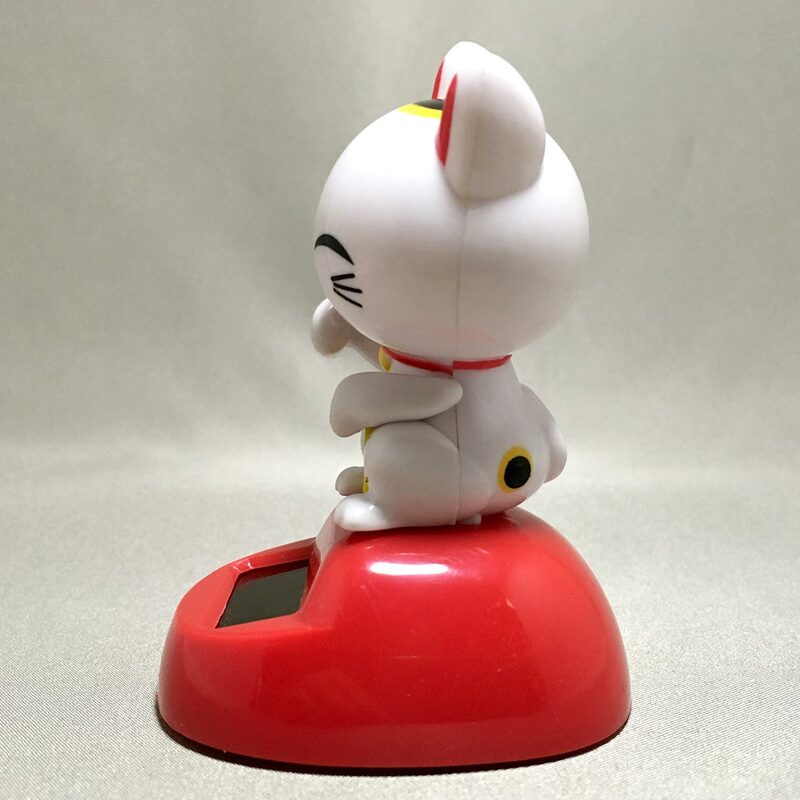 – Position the swinging Lucky cat on a flat surface where the solar panel is exposed to direct sunlight. – Does not work in dark places. 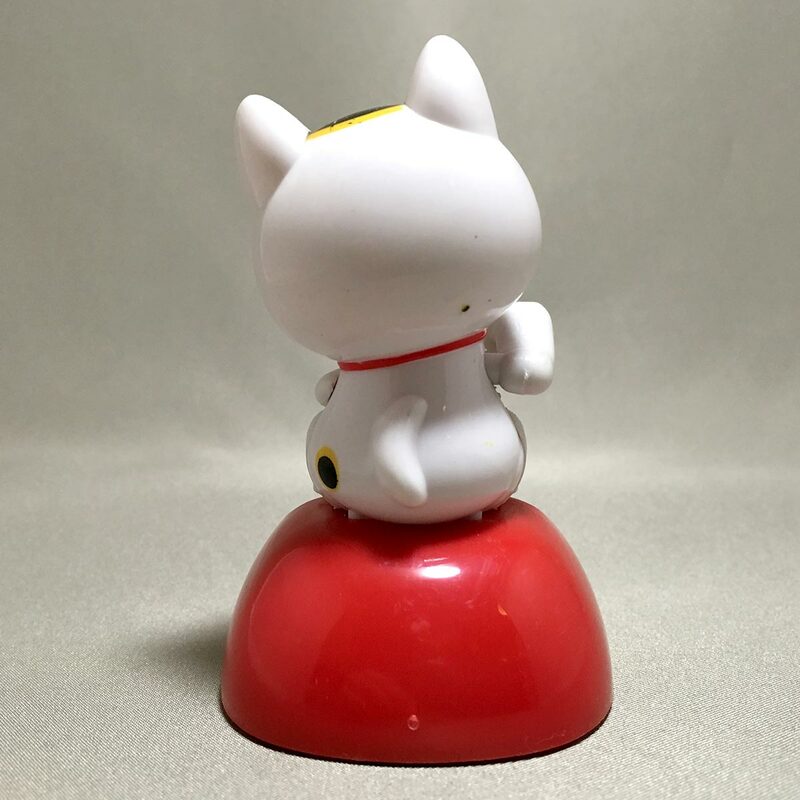 – The swinging Lucky cat may sway when exposed to bright indoor lighting. The intensity of the sway may depend on the type of lighting and distance from the doll. 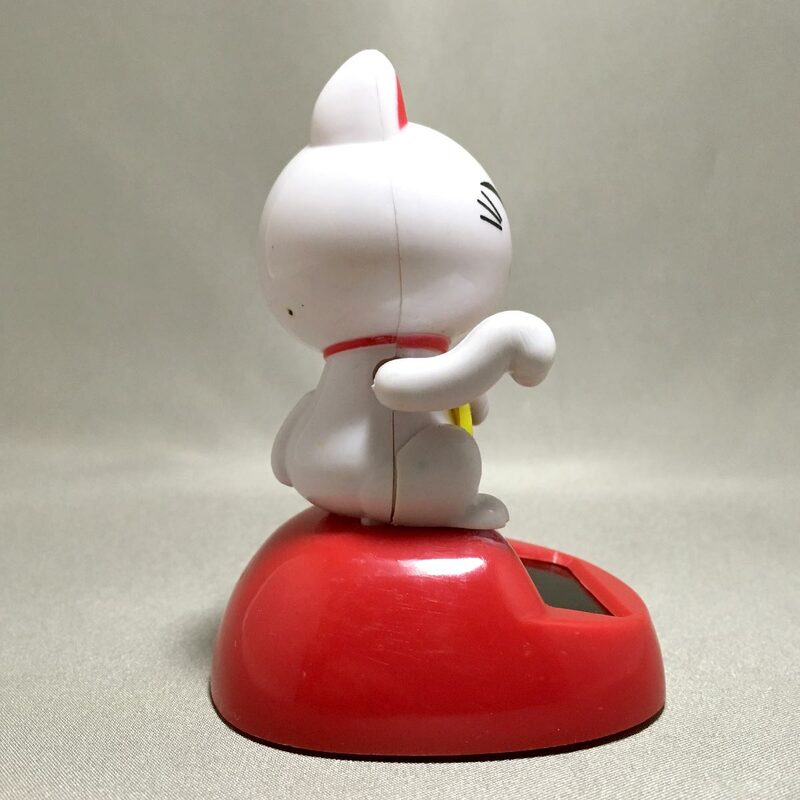 – Do not place the swinging Lucky cat on metallic shelves, desks, TV or PC. The product contains a magnet, and may affect the movement if placed near metal objects. – Keep away from fire and do not expose the product to high temperatures for long periods of time. – Do not use inside cars in heated temperatures (i.e. parked cars). – Keep out of reach of infants. – Using extreme forces such as pulling apart or throwing the product against objects, or disassembling the product may cause damage to the product. – The solar panel contains glass and must be handled with special care. – Do not use the product for any purpose other than as originally intended. – If the product is defective, return the product to the shop purchased for a full exchange. – Follow local disposal guidelines for disposal. 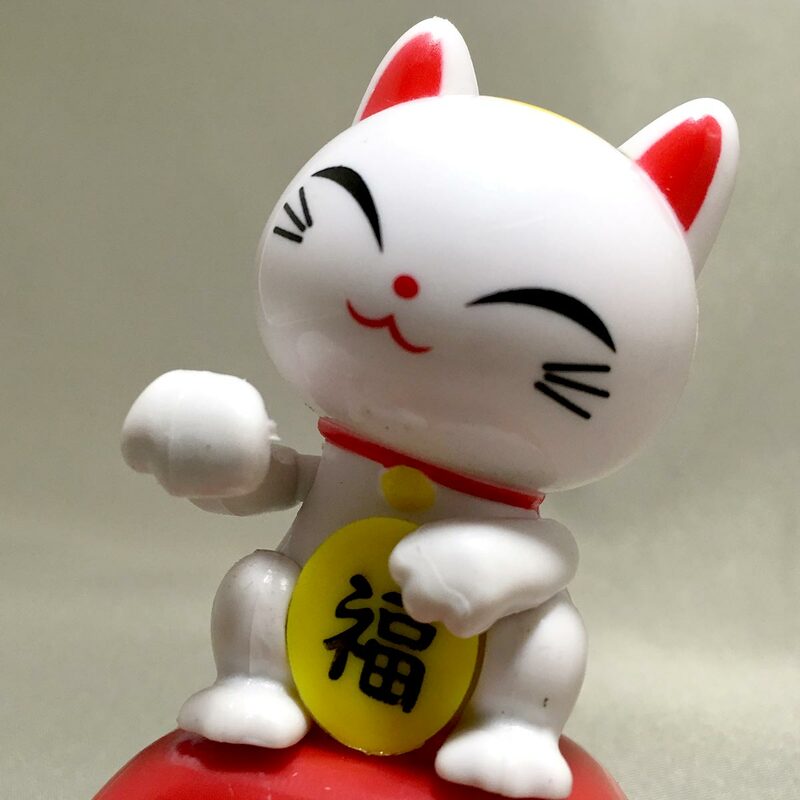 This swinging Lucky cat fits in well with the Solar Powered dolls collection, Daruma doll and Sumo wrestler. The finish is a bit rough, I can see a big gap on the right side of the cat figure, and the paintwork on the top of the cat head isn’t very clean. 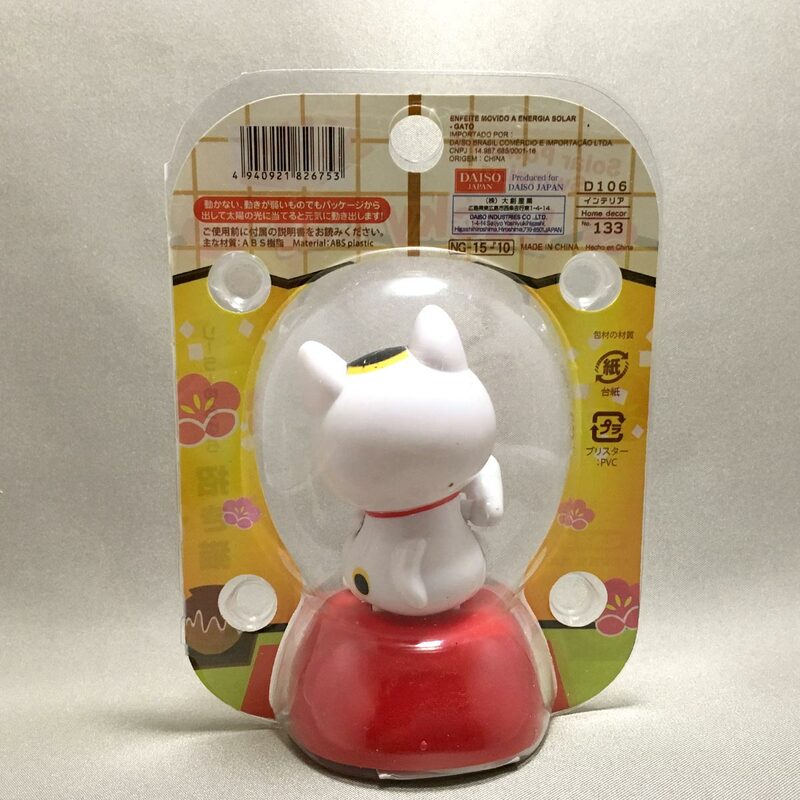 I also find the swinging lucky cat I got had a less sensitive solar panel compared to the Daruma doll and Sumo wrestler, I need to carefully position the cat to get the arm waving. However, for 100 yen, this wee cat makes a neat souvenir. Hopefully, this will bring me luck too 🙂 I’m off to buy a lottery ticket! Copyright © 2019 100 Yen Shopping. All rights reserved.